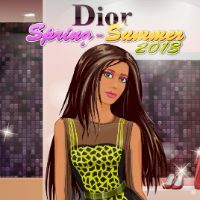 A dress up game about a new brand collection by Christian Dior! If you are interested in new fashion trends, you'll surely like it! A very nice and intriguing game. Lots of dress up variants. Amazing!